I have been manually editing the .nuspec XML file and running the command line to create two packages. One of the MIX 11 section mentioned the NuGet Explorer. It is a great tool that can save a lot time and effort. I used it to create my third package. Enjoyed it. BTW, I haven’t touched Windows applications for a while. 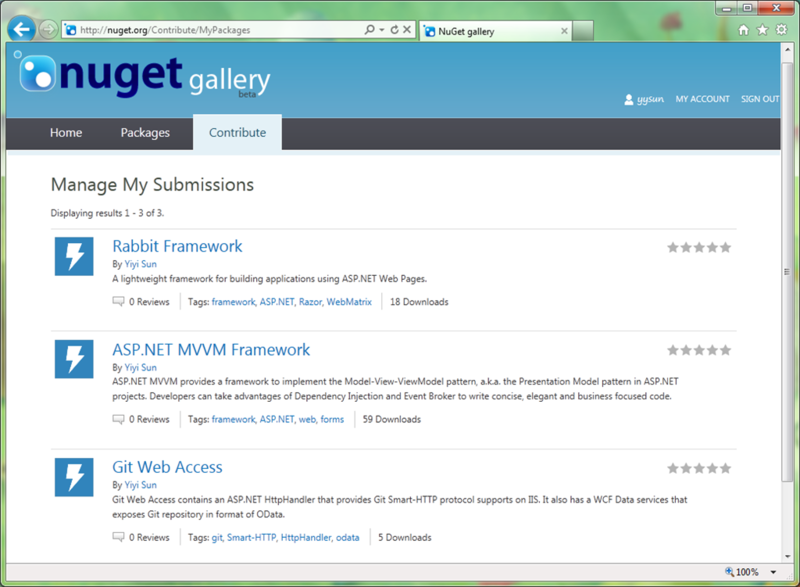 The source code of the NuGet Explorer has many goodies to explore.